Mr. Kenneth Edward Sheriff Sr., of the Fairmount Community, died at the home of his daughter on Tuesday, January 22, 2019, following several months of declining health. Kenneth was born in Bartow County on February 26, 1941; he was the son of the late Gordon and Charlcie Cook Sheriff. Along with his parents, he was preceded in death by his wife, Betty Jo Bowman Sheriff; his granddaughter, Stephanie Daniel; his brother Leslie Sheriff; his sisters and brothers-in-law, Elizabeth and Rev. G.W. Shaw, Robert Bryant, Brenda Sheriff, Mary Ruth Sheriff, and Hazel Sheriff. Until his retirement, Kenneth was an assembly lineman at Ford Motor Company. Kenneth was a member of the Sonora Masonic Lodge. He was of the Baptist Faith. Kenneth is survived by his son and daughter-in-law, Kenneth “Kenny” E. and Sharon Sheriff Jr.; his daughters and sons-in-law, Darlene Daniel and Darrel Byrd, Lynn and Charles Maloney, and Denise and Byron Greeson; his brothers and sister-in-law, Odis Sheriff, and David and Wanda Sheriff; his sister, Lucy Bryant; his grandchildren, Charles Wyatt, Brandon Maloney, Barbara Maloney, Rachel Reynolds, Tiffany Fuller, Tanya Pritchett, Katelyn Turner, and Grant Sheriff; several great-grandchildren, nieces, and nephews. The Sheriff family will receive friends on Thursday from 5:00 until 8:00 p.m., and on Friday from 2:00 until 3:00 p.m. at Max Brannon and Sons Funeral Home. 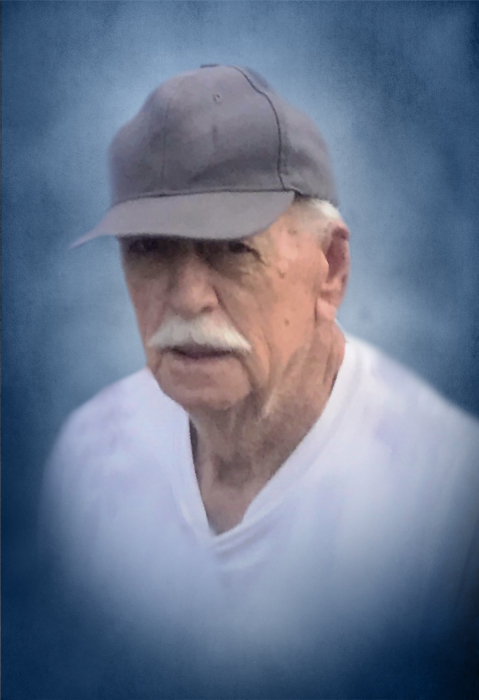 The funeral service will be conducted on Friday, January 25, 2019 at 3:00 p.m. from the funeral home chapel. Burial, with Masonic Graveside Honors, will follow at Fain Cemetery. Rev. Kenny Sheriff and Rev. David Peeler will officiate. Pallbearers are Grant Sheriff, Matthew Sheriff, Davidson Sheriff, Brandon Maloney, Walt Turner, and Kalibe Fortenberry. Honorary pallbearers are Scott Carter, and his fellow Masonic Lodge Brothers. The Sheriff family wishes to thank the staff of Tapestry Hospice, especially Angie, for the wonderful care Kenneth received. Thefamily suggests that memorials be made to The Shriners Hospital at lovetotherescue.org Friends may sign the online guest register at www.maxbrannonandsons.com. Arrangements are by Max Brannon and Sons Funeral Home of Calhoun.